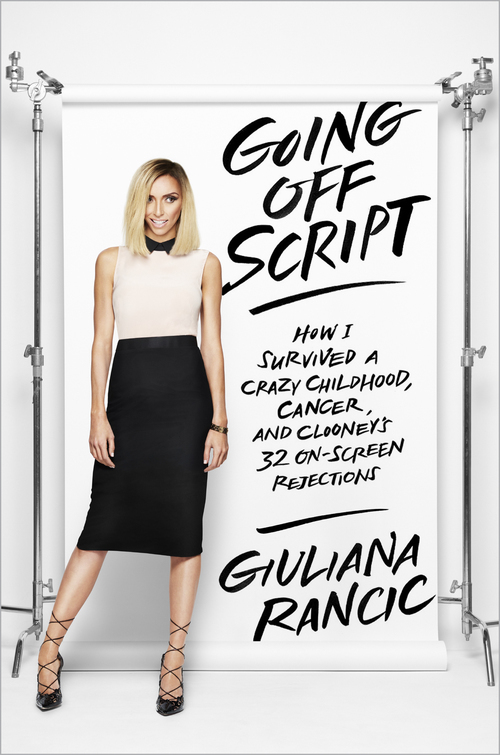 One of my favorite summer reads--Going Off Script: How I Survived a Crazy Childhood, Cancer, and Clooney's 32 On-Screen Rejections by Giuliana Rancic. It was hard to put this book down, especially after I had been looking forward to it from the first time I heard it was coming out. I have watched Giuliana on E!News for years and have followed her story through infertility and breast cancer. Her candid memoir is both honest and real, and though she has celebrity status, she is definitely a real person. Going Off Script is well-written and engaging, tracing her unique childhood and her journey to a career in Hollywood. There are many surprises inside, humor, and heartbreak. I laughed out loud at many incidents she replays, such as her response to Johnny Depp at poolside. Giuliana recounts her harrowing diagnosis and fight with cancer with bluntness and honesty. This is such a motivation for anyone facing a devastating challenge--as Giuliana shares her raw emotions, she shares hope and understanding. If you're looking for an inspiring, entertaining book, Going Off Script does not disappoint. After reading it, I admire Giuliana even more and look forward to seeing what the next chapter has in store for her. The publisher provided a review copy of Going Off Script.